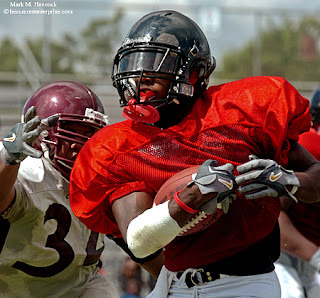 Memorial's Patterson Clay evades Beaumont Central's defense during a football scrimmage at Memorial High School in Port Arthur on Saturday, Aug. 25, 2007. I think I finally got an acceptable sound for the last slideshow. I tried to avoid the piano, but no other instrument works with this melody. If you heard it before, please give it a second chance and let me know what y'all think. Unfortunately, composing music comes with a steep learning curve. I hope to get far better at it soon. I'm trying. 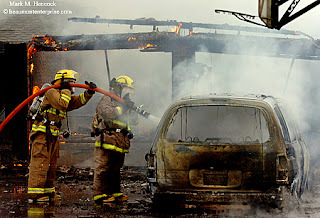 Firefighters from across Orange County work to contain a blaze in the parsonage of the Old First Orange Baptist Church in Orange on Wednesday, Aug. 22, 2007. The church was established in 1857 and was rebuilt after Hurricane Rita. U.S. Army Spc. Kamisha Jane Block, 20, of Vidor died on August 16, 2007 while serving as a military police officer in an area north of Baghdad, Iraq. She is the first female soldier from Southeast Texas to die in the line of duty. Please read "...Tears still flow at funeral" by Mike D. Smith and see the Guest Book. 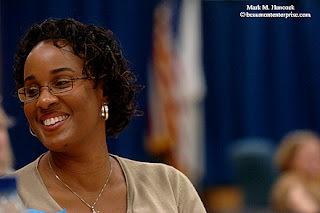 Wanda Wiltz laughs with other teachers during new teacher orientation at the BISD Administration Building in Beaumont on Friday, Aug. 17, 2007. Wiltz will teach 3rd graders at Martin Elementary School this year. This is the video I promised to upload. I composed the music for it as well. It's far more upbeat than the last song (or the next song). 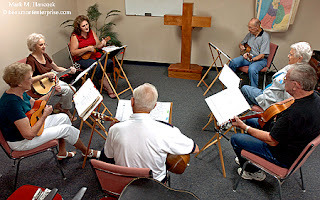 Members of The Silver Ukes practice at the First Baptist Church of Nederland in Nederland on Tuesday, Aug. 16, 2007. From left to right, members include Denise Hopkins, Barbara Shirley, Nell Christopher, Johney Marrs, Frank Roebuck, Doris Roebuck and Ray Ward. 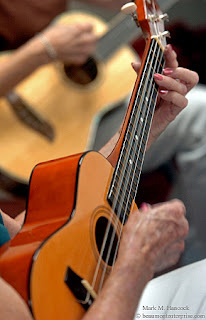 Barbara Shirley (top) and Nell Christopher (bottom) of The Silver Ukes practice with their ukuleles at the First Baptist Church of Nederland. The ukulele group plays Polynesian instruments and specializes in gospel songs. Members of The Silver Ukes practice at the First Baptist Church of Nederland in Nederland on Tuesday, Aug. 16, 2007. The ukulele group specializes in gospel songs. 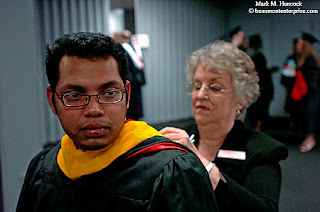 Veterans Affairs Office specialist Tricia Culver (right) helps Srinivasu Vatti (left) adjust his hood before receiving his masters degree in Chemistry in the Montagne Center at Lamar University in Beaumont on Saturday, Aug. 18, 2007. Kara Guillory, a master of science in Speech Language Pathology, chats with friends as Christine McDougal, a Lamar administrative associate of records, fixes her hood before graduation commencement in the Montagne Center at Lamar University in Beaumont. The graduation ceremony was for students who earned degrees during either summer semesters. I tend to over-think issues. Then, I break them down and find the simplest way to tell others. Consequently, what I'm about to suggest may seem overly simple. Anyone can make it more complex if they wish, but the end result is the same. PJs are story tellers. We tell other people's true stories. Some are happy. Some are sad. The stories need to be told. It's our job to find the stories and tell them to others. This is done with text, images, audio and video. It's best to select the right apparatus for the story, but the method is minor compared to the actual story. A good story can be told with any of these four tools. I use a simple starting device to focus a story and keep it on track. I use four words that are familiar to most people over the age of three. Each story starts with, "Once upon a time..."
Each story also concludes with two words: "The end." It's not the end of the world. It's the end of the story. This is when it's time for the reader to react. The reaction might be to go to sleep or to pick up the phone and call a politician. Either way, deadline is the end for the PJ. If I'm writing, I actually write these words before I write the rest of the story. When the story is complete, I delete these words. The same tool works to focus a picture story, video or audio piece. The best image, clip or sound should be "Once-upon-a-time" (lede) and the second best image should be "The end" (kicker). At the least, the lede image should set the scene and the kicker should conclude the story. "Once upon a time" and "The end" are powerful words because it means the reporter must tell a succinct story between these words. It also requires the reporter to quickly answer who, what, when, where, how and why. If done well, the (missing) first four words grab the reader, pull them into the story, move them along and deliver them to the end before they realized they were gone. Once upon a time, there was a girl (who) in Mongolia (where). She dreamed of being a contortionist (what). If she became a professional contortionist, she could help feed her family (why). So, she went to a special school (how). It was physically and mentally challenging. She cried, but was determined (emotional elements - climax). Unfortunately, her family ran out of money (revelation). So, she left the school and returned home to her family's farm (low point). She continues (when = now) to practice at the farm. She still plans to become a professional contortionist. The End. We just answered all our questions with an interesting story. Finding images, audio and/or quotes to match the story requires the PJ's talent. Once upon a time there was global warming (what). It affected everyone (who) in the world (where). It changed weather patterns (how). Global warming is caused when too many greenhouse gasses are in the air (why). It continues (when) to be a problem. The End. OK, that's the fast version. I'd add an image or two about who's trying to stop it and what/how they're doing. Additionally, there must be some major emotional images of hardship to pull off this story. For this type of story, the people presenting the facts must be authorities. In all cases, the actions of the people involved move the story along. There's room for reflective moments, but these must create powerful imagery to avoid stalling the whole story. Each story requires the same questions to be answered. They all must begin and end as quickly as possible to keep the reader. Even the quotes within these stories must lead the reader/viewer to the final conclusion: The End. Now we know how these stories work. However, we don't know where they come from. It's equally simple: Ask people to tell their stories. Everyone has a story. Some are very interesting. Some aren't. The trick is to find the good ones to present to other people. Today, PJs could be in any town, walk up to the first person they meet and ask them to tell a story. Say, "I'll start it for you. Once upon a time..." and see what they say. I'd bet it's something interesting. 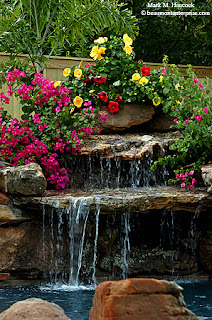 Water flows over an Excell Pools waterfall at a home in Nederland on Saturday, Aug. 4, 2007. This is simply a pretty shot to finish a very hectic week. It was made for the cover of the Homes advertising section. 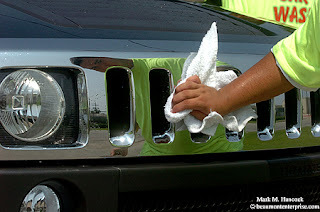 Manuel Mendez polishes the grill of a Hummer at Rags Car Wash in Beaumont on Friday, Aug. 10, 2007. This is the third car wash in Beaumont opened by the Reed family. 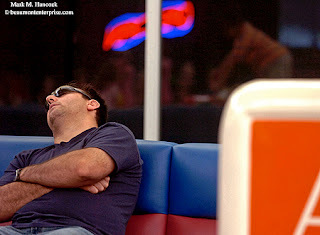 Ed Marroquin of Nederland takes a nap in the children's play area while his daughter plays and his wife shops during the annual Tax-Free Shopping Weekend at Central Mall in Port Arthur on Saturday, Aug. 18, 2007. He said he needed the nap after shopping. 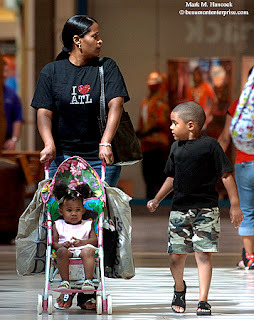 Donna Prudhomme of Beaumont pushes her daughter Mia, 18 months, while her son Malek, 6, walks with her during the annual Tax-Free Shopping Weekend at Central Mall in Port Arthur. Bridges To Life is a restorative justice program. It allows victims a voice while encouraging convicted criminals to understand the results of their actions through a faith-based program for prisoners who are about to be paroled. Please read, "Criminals, crime victims share experiences..." by Sarah Moore. This is my first official published attempt at composing music. The first 30 seconds are meant to be musically disturbing (like prison life). Then, it should become easier on the ears as the inmates and BTL volunteers connect and graduate. Any feedback about the music and/or images is appreciated. 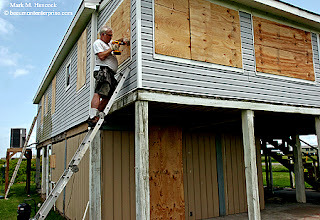 Jack Kleinworth of Houston installs plywood over the windows of his beach house in Gilchrist on Sunday, Aug. 19, 2007. 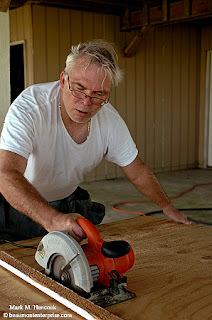 Jack Kleinworth of Houston sizes plywood for the windows of his beach house in Gilchrist. Although Hurricane Dean isn't expected to hit Southeast Texas, Kleinworth and many others along the coast prefer to be prepared for the worst. Houston-based Cherry Demolitions disassembles Hotel Beaumont's annex building in Beaumont on Wednesday, Aug. 8, 2007. 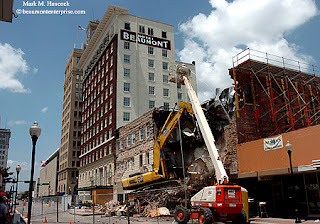 The building has not been used for many years and suffered additional damage during Hurricane Rita. The vacated area will be converted into a garden setting for the assisted-living center residents. IOU one Monday Movie. I planned to have a quick piece on this demolition ready today, but I've been running in four directions while we're short-staffed. I hope to get it pulled together later this week and add it to this post, but I have several projects to complete before I can jump on it. Update: The movie is posted here. Port Arthur police participate in National Night Out Against Crime activities in Port Arthur on Tuesday, Aug. 7, 2007. The event encourages community residents to take an active role in reducing crime in neighborhoods. 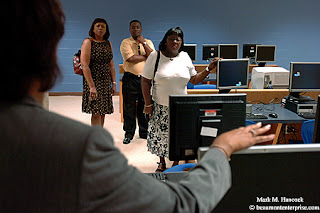 Beverly Thornton, PAISD executive director of technology and media resources, (left) explains features of one of the computer labs to PAISD trustees Lloyd Marie Johnson (left to right), Kenneth Marks and Willie Mae Elmore at Lee Elementary School in Port Arthur on Friday, Aug. 10, 2007. Each grade level has its own computer lab while the library has two additional computer labs. The newly constructed $11 million building opens for classes on Aug. 27. The oldest section of the previous building opened in 1922. Please read, "...new Lee Elementary" by Christine Rappleye. Currently, it looks like Dean will make Cat. 5 and fall far south of Texas. People in the Yucatan Peninsula as well as central and coastal Mexico need to be on high alert and evacuate if possible or at least secure shelter and enough supplies to survive for a week or more. Although it could make a sharp turn after it hits Cancun and come across the Gulf (and regain strength), it's somewhat unlikely. However, we're not clear until it hits the Mexican mainland. Hurricane Dean is predicted to make landfall anywhere from Brownsville (about 450 miles from Beaumont) to southern Mexico. It's a major storm and requires attention. It's best to prepare now. The Beaumont Enterprise has developed Texas Hurricane News. It's a comprehensive site with checklists, evacuation maps, hurricane tracking maps, post-storm advice and other features. It contains useful advice for anyone living along the Gulf or East coasts. Additionally, there is an online forum to locate separated family members or exchange other hurricane-related information. 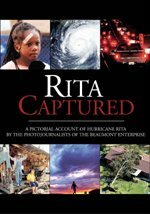 It was developed after hurricanes Rita and Katrina and incorporates lessons learned. 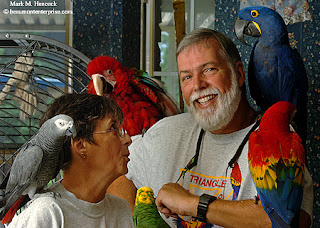 Dorothy Crocker (left) and Bill Christian (right) pose for a portrait with five of their exotic birds in Lumberton on Friday, Aug. 3, 2007. The Golden Triangle Bird Club will have its Exotic Bird Fair and Expo in Port Arthur on Aug. 18th and 19th. Diego, a 6-year-old Scarlet Macaw owned by Bill Christian, rests on a perch in Lumberton. Scarlet Macaws are originally from the Central and South Americas. Well-maintained parrots can live more than 75 years. Canopus, a 5-year-old Hyacinth Macaw owned by Bill Christian, rests on a perch in Lumberton. 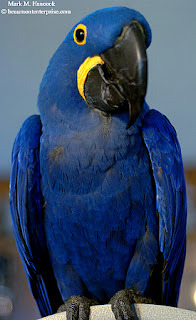 The Hyacinth Macaw is originally from South America and the largest parrot in the world. 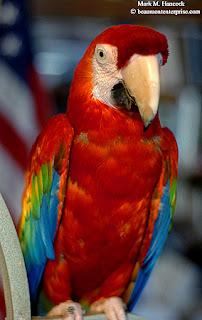 Please read, "14th Annual Exotic Bird Fair and Expo..." by Robert Lopez. 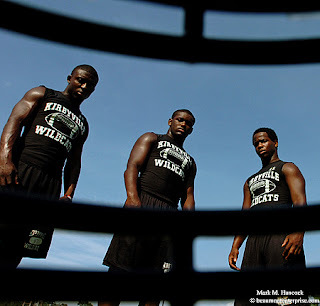 Kirbyville running backs Pierce Rhodes (from left to right), Broderick Jackson and Barry Burley pose for a portrait at Kirbyville High School on Thursday, Aug. 9, 2007. The running backs combined for almost 2,500 rushing yards last season. Erin made landfall today near Corpus Christi. Although we got some rain this morning, Erin isn't an issue here. Hurricane Dean has our attention. Additionally, there was a chain of sandstorms over North Africa last week, so we're expecting a busy month. Most folks don't understand Texans. We tend to be a little more direct than most people. We also tend to taunt death more often. Generally, most Texans think you're gone when your time is up. Until then, you're along for the ride. A large part of the Texas mentality includes enjoying the ride - even if it's not always logical. Texans take calculated risks. We swim in waters with gators, sharks and snakes. Some ride angry bulls and participate in other illogical activities. If it gets too rough, we find an exit or hunker down. We know the tipping point and hop in the truck when it's time. In a Houston Chronicle story about today's disruptive weather, Matt Sandlin of Amarillo was on a beach near Corpus Christi. He said, "Unless I see a shark or whale go flying by, I'm good." That's how it is here. We're prepared for a hurricane. We have evacuation routes. We have food, water, first aid kits and grills. We filled up our gas tanks and changed the oil in the generators. Most Texans prefer their hurricanes to be made out of rum and orange juice, but they can handle either kind - until a shark or whale goes flying by. 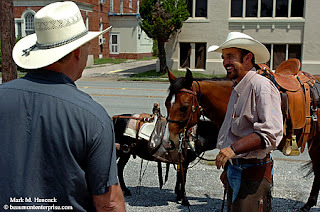 Couy Griffin of Reserve N.M. (right) talks with Ricky Collins (left) in Beaumont on Friday, Aug. 10, 2007. 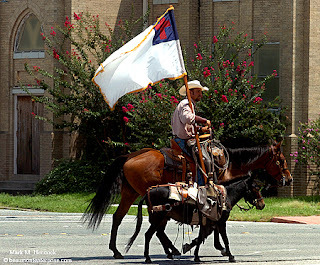 Griffin is riding through different cities on a cross-country ministry. Couy Griffin rides Daisy, a 5-year-old quarterhorse, as Blackjack, a 6-year-old miniature mule, carries gear down Main Street in Beaumont. Griffin started in San Francisco and plans to be in New York City on Sept. 11. He made a similar trip last year. This was another "found feature." I wish I had more time to work it harder (and better quality light). Unfortunately, I was on my way out of town for an assigned shoot when I saw Collins talking to Griffin with his animals near downtown and had to find out whazzup. 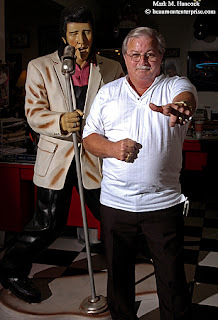 Harry Stephens poses for a portrait with his life-sized Elvis statue at Harry's Appliance & Service, Inc. in Orange on Friday, Aug. 10, 2007. Elvis Presley died on Aug. 16, 1977. Elvis fans may want to see the complete 30-year commemorative about The King. 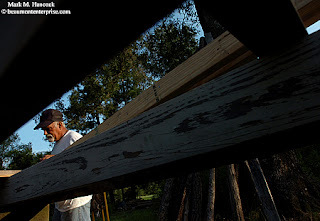 Donald Monson works on his home in Buna on Thursday, Aug. 9, 2007. He's building the house out of recycled materials on his son's property. 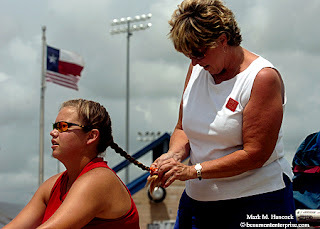 Sheryl Shepherd (right) braids the hair of Allison Hinton (left) with the Houston-based Texas Peppers Gold softball team during the AFA Nationals Championship tournament at Ford Park in Beaumont on Thursday, July 26, 2007. Area storms threatened to delay games. 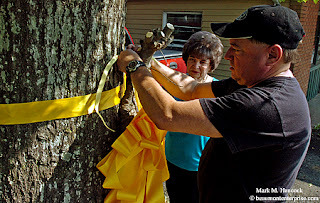 Bridge City Cleaners owner Anne Segura (left) and her son Darrell Segura (right) tie a yellow ribbon onto a tree near the business in Bridge City on Saturday, Aug. 4, 2007. Segura wants all residents and businesses in the city to display yellow ribbons in support of the troops until they safely return. I was driving back to Beaumont from Bridge City (yesterday's post) and saw them preparing this huge ribbon. I pulled over, jumped out of the car and got this shot before they finished. Although I never met Darrell Segura before I made this image, he greeted me when I had a shoot at the Motiva plant this week. 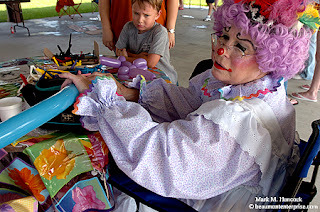 OK Mouseketeers, sing it with me, "It's a small world after all..."
Mimi, Janice Sullivan (right), fashions a balloon animal for Davis Koger, 5, (left) during a school supply giveaway at the Bridge City Community Pavilion in Bridge City on Saturday, Aug. 4, 2007. The event was sponsored by Common Ground Community Church and offered required school supplies for free to Bridge City students in grades K-6. Because of the time restraint, I'm going to keep this post on the blog's front page until the deadline. We're looking for the best shooter available. Tell your friends. P.O.Box 3071, Beaumont TX 77704. Complete application packages need to be in Beaumont before Friday, Aug. 17, 2007. The info above is the official company line. What follows are my thoughts. Please don't confuse the two. Andrew is moving to Austin to freelance and help his family. It's been great to work with him. I wish him all the luck. Austin is getting a creative, hard-working shooter. Anyone who needs a stand-up guy with a good eye for their gigs, he'll help you out. This job is for an experienced, competitive, detail-oriented photojournalist who knows how to transmit on deadline from the field and is ready to be slammed by a hurricane. With changes currently taking place, this job is NOT for technophobes. Video knowledge or the ability to rapidly learn it is needed. A four-year degree is required. U.S. citizenship or valid green card required. A PJ degree is preferred. Five years or more experience at a daily paper is preferred. Additional languages are preferred. Beaumont is a Hearst metro newspaper. As such, it directly competes in-house against some of the top newspapers in the country. Additionally, it has good benefits and is privately held. Because it's not publically traded, it's far more stable and the focus is on content rather than stock prices. The paper provides high-quality content and expects a high-quality photojournalist. It's consistantly named as the top newspaper in its division at the Texas Press Association Better Newspaper Contest. Since I got a job here, candidates might be wise to look through the information I've posted in All PJ-related posts about getting a staff job. Of particular interest should be How to make portfolios, Make a cover letter, Make a resume, Complete the application package. When applying for any job, mention you saw this opening on this blog (PhotoJournalism). Since the selection will be fast, SEND ME AN E-MAIL if you're applying so I can look over online portfolios and put in a good word for the folks who deserve it. Good luck. The area formerly called East Orange, La. 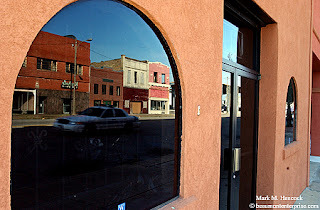 was a strip of casinos, bars and dance halls that existed along old Highway 90 until enforcement of Louisiana gambling laws and the opening of Interstate 10. The area, which was accessible to Texans via a swing bridge over the Sabine River and a mile-long wooden bridge over the swamp, finally came to a conclusion when the bridge burned in 1973. 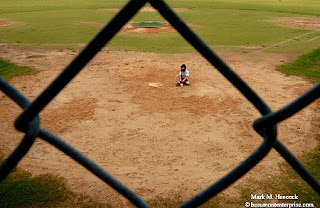 Please read "TALES: East Orange, La..." by Mike D. Smith. 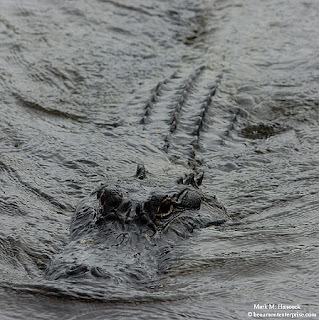 A large alligator prowls for food in the Sabine River near Orange between Texas and Louisiana on Thursday, Aug. 2, 2007. 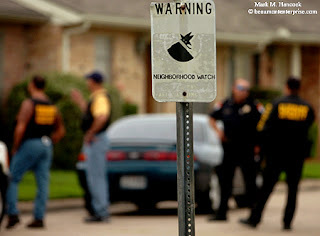 Jefferson County Sheriff's Department officers regroup after trying to serve a warrant in West Beaumont on Wednesday, July 18, 2007. 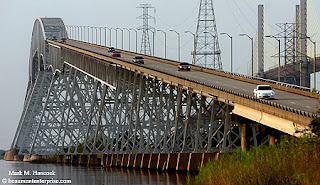 Traffic travels over the Rainbow Bridge (left) and Veterans Memorial Bridge (right) over the Neches River near Port Arthur on Thursday, Aug. 2, 2007. The collapse of one of Minnesota's busiest bridges in Minneapolis on Wednesday has prompted officials to examine bridges across the nation for safety. Carole Young weeds a flower garden next to the school sign at Regina Howell Elementary School in Beaumont on Tuesday, July 31, 2007. Spencer Wilson, 4, of Cleveland, Texas makes his own fun with a cup and sand on an empty softball diamond during the AFA Championships softball tournament at Ford Park in Beaumont on Wednesday, July 25, 2007. 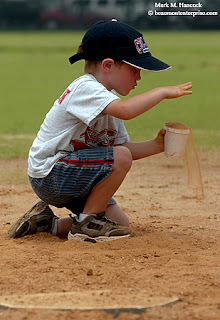 Spencer Wilson, 4, of Cleveland, Texas knocks a mound of sand off a cup on an empty softball diamond during the AFA Championships softball tournament at Ford Park. 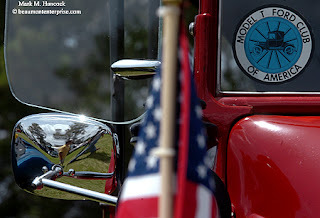 Auto buffs reflect off the chrome mirrors of a Model T Ford during the Cruisin' Kirbyville Car, Truck and Motorcycle Show at Magnolia Park in Kirbyville on Saturday, July 21, 2007. Bobby Goynes of Polk County gets a beverage beside a Ford F250 Super Duty truck during the Cruisin' Kirbyville Car, Truck and Motorcycle Show at Magnolia Park. 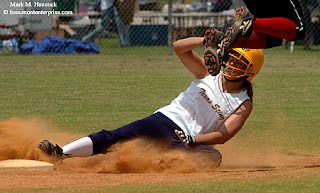 Texas Sting's Kait Postle (left) slides safely to second base as Round Rock Blaze National's Kendall Lucas (right) jumps for the ball during the AFA Championship softball tournament at Ford Park in Beaumont on Wednesday, July 25, 2007.